"You are invited to the wedding of the year! In the blink of a fairylight, the Gingerbread Café has been thrown into chaos! Lily thought she had this wedding wrapped up, but with so much to do before she says ‘I do’, can Lily get to the church on time – and make this Christmas sparkle after all?" 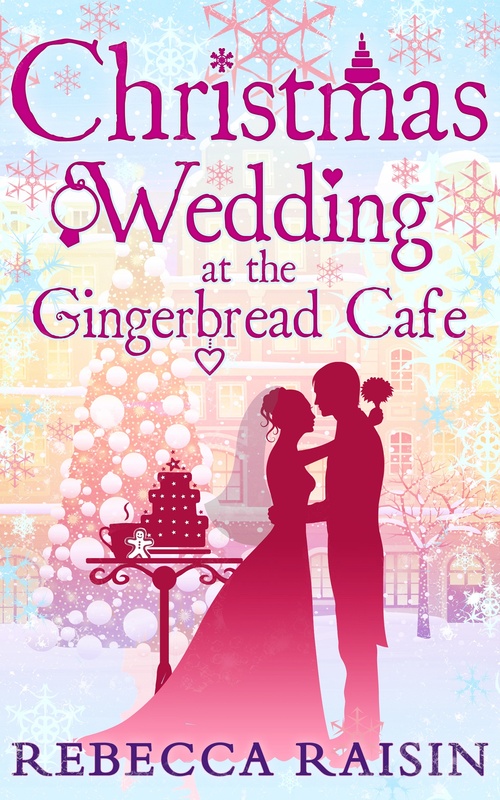 This book is the third book in The Gingerbread Cafe series, but the first that I had read. I certainly do not think it is absolutely necessary that you need to have read the first two to enjoy this book, although (as always) it probably helps with the character development and as the story does heavily follow on, perhaps it would have been useful. I found this book to be extremely "american" which was the main negative for me, but that is an entirely personal preference and you should not let that alone put you off. However, for me, I think this took something away from my enjoyment of the book, because I found myself constantly thinking about how this was a book rather than being so absorbed into it that you lose yourself; that never really happened for me with this book. The story itself did start to capture me towards the middle/end. I liked the way that each chapter was a countdown to the wedding, so that the reader joins the story ten days before the wedding where the finishing touches are the only things between the happy couple and their perfect wedding......that is until her future in-laws arrive! The lengths that Olivia went to were kind of unbelievable, and it wasn't until the change in Olivia's character that it all started to feel more 'real'. There is also an element of sadness to the book, and it did bring a tear to my eye! The ending was sweet and did make me smile. It wasn't that I hated this book, it is a light and easy read, but for me unfortunately, it wasn't a book that I utterly adored.